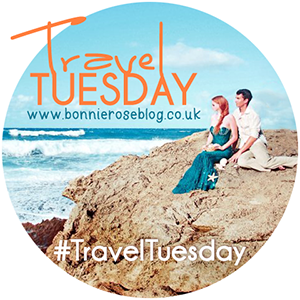 Happy [Travel] Tuesday everyone!! I’ve finally made it through most of my Yellowstone photos and whittled them down to a manageable amount (smile). 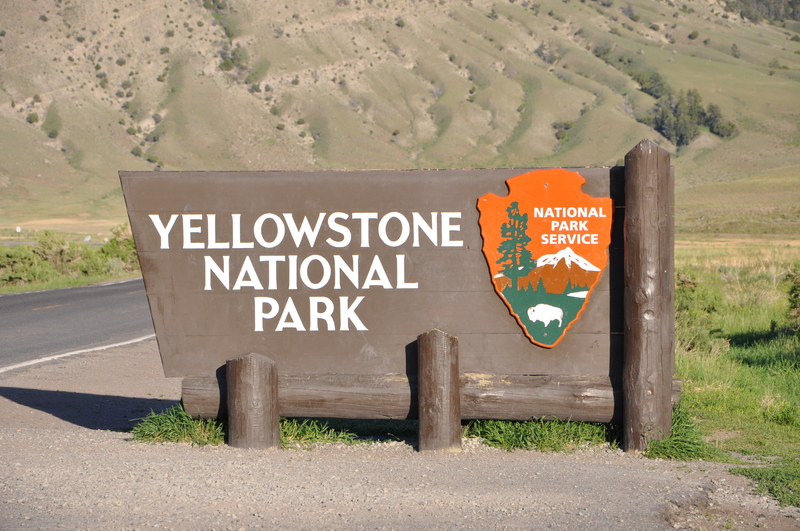 So I thought today would be a good day for a formal introduction to Yellowstone National Park. Yellowstone National Park is located primarily in the northwest corner of Wyoming, although parts of it extend into Montana and Idaho. Yellowstone was the very first National Park, established in 1872 by President Grant – well ahead of the actual National Park Service (est. 1916). The park is also designated as a World Heritage Site and a Biosphere reserve. Geyser next door to Old Faithful put on a show as well! Yellowstone is home to approximately half of the world’s geothermal features! According to the Park Service, there are over 10,000 thermal features and 300 geysers. Perhaps the most famous geyser – Old Faithful – is known for being one of the most predictable in terms of eruptions. The eruptions occur approximately every 91 minutes, give or take 10. Of course we had to make a stop to see Old Faithful! We must have arrived just after an eruption as the benches set up for viewing were pretty empty. Luckily this gave us a front row view, a chance to rest, and time to meet some fellow tourists (smile). I will, however, say this – there are larger, more impressive geysers. Old Faithful is impressive mostly in its predictability (and the nice surroundings). The park is home to bears – grizzly and black – wolves, bison, elk, and thousands of other species. We were lucky enough to spot most of the big ones (with the exception of the wolves) and quite a few of the smaller creatures (the ground squirrels were adorable). I was really surprised at just how abundant and obvious the wildlife was in the park. Literally everywhere you went you could spot something. As for the bear, I have no idea how people spotted some of them from so far away, but you could always tell what it was by the number of cameras standing along the road (smile). The most remarkable part of the park to me was the contradictions of the park. In the same day we experienced sunshine, rainstorm, and hail/snow! Never mind that within 10 miles you could go from a geothermal landscape to lush, green trees to snow-covered mountains. As I explained in this post, you could find geothermal springs warm with steaming, boiling water right next to a lake that had just thawed enough to melt it’s winter ice. It’s hard to get bored or lose the wonder when you never know what’s coming next! I would love to go back to the park and spend more time exploring off the beaten track. Considering the park covers over 2 million acres, something tells me I could do a lot of exploring (smile). In the meantime, more posts to come! Have you ever been to Yellowstone? What was your favorite part?? Come join the fun with Bonnie, Kaelene, Sammy, and Van!! Great pictures… I’ll get to Yellowstone one of these days! Thank you 🙂 It’s definitely worth the trip! I didn’t know there were geysers in Yellowstone! And you say half of the world’s geothermal features, I mean wow! 2 million acres!? Wowza!! What a huge place. I love your pics of the animals, so cool! I knew that Yellowstone was beautiful! I didn’t know that you can find bears, bisons and geysers there! So amazing and yet another reason why I want to visit Montana…..